Supermoon Risin September 3 – Neptune at Opposition. The blue giant planet will be at its closest approach to Earth and its face will be fully illuminated by the Sun. 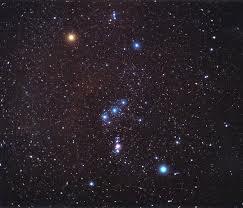 It will be brighter than any other time of the year and will be visible all night long. This is the best time to view and photograph Neptune. Due to its extreme distance from Earth, it will only appear as a tiny blue dot in all but the most powerful telescopes. September promises lots of exciting night sky activity – ideal for camping and stargazing. The first half of this month will bring us great views of Mercury and Neptune, a new moon, and a partial eclipse! During the latter half of the month, the September (autumnal) Equinox occurs, and the fall Supermoon – also known as the Harvest Moon. Perhaps most exciting of all – a total lunar eclipse for North America at the end of the month. September 4 – Mercury at Greatest Eastern Elongation. The planet Mercury reaches greatest eastern elongation of 27 degrees from the Sun. This is the best time to view Mercury since it will be at its highest point above the horizon in the evening sky. Look for the planet low in the western sky just after sunset. September 13 – New Moon. 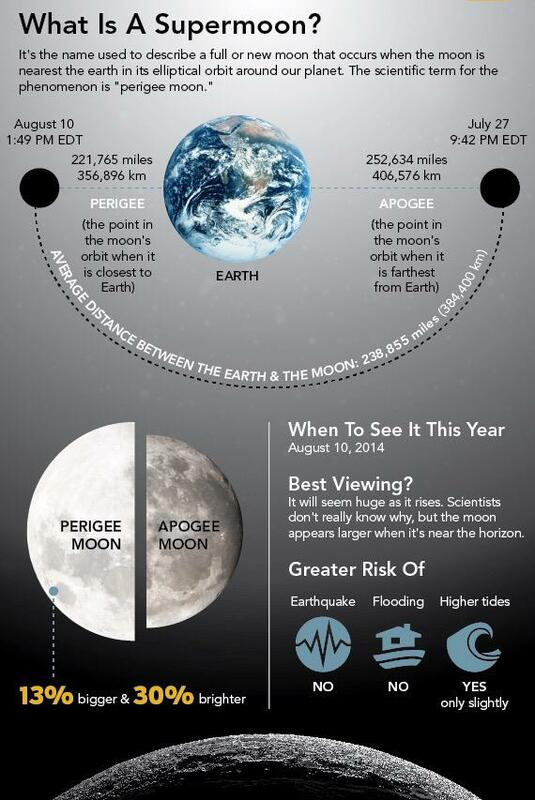 The Moon will located on the same side of the Earth as the Sun and will not be visible in the night sky. This phase occurs at 06:41 UTC. This is the best time of the month to observe faint objects such as galaxies and star clusters because there is no moonlight to interfere. September 23 – September Equinox. The September equinox occurs at 08:21 UTC. The Sun will shine directly on the equator and there will be nearly equal amounts of day and night throughout the world. This is also the first day of fall (autumnal equinox) in the Northern Hemisphere and the first day of spring (vernal equinox) in the Southern Hemisphere. 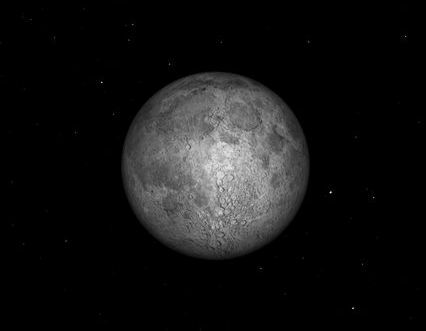 September 28 – Full Moon, Supermoon. The Moon will be located on the opposite side of the Earth as the Sun and its face will be will be fully illuminated. This phase occurs at 02:50 UTC. This full moon was known by early Native American tribes as the Full Corn Moon because the corn is harvested around this time of year. This moon is also known as the Harvest Moon. The Harvest Moon is the full moon that occurs closest to the September equinox each year. This is also the second of three supermoons for 2015. The Moon will be at its closest approach to the Earth and may look slightly larger and brighter than usual. This will be the closest full moon of the year. September 28 – Total Lunar Eclipse. A total lunar eclipse occurs when the Moon passes completely through the Earth’s dark shadow, or umbra. During this type of eclipse, the Moon will gradually get darker and then take on a rusty or blood red color. The eclipse will be visible throughout most of North and South America, Europe, Africa, and western Asia. The Last Quarter Moon rises around 1:30 a.m. and sets around 1:30 p.m. 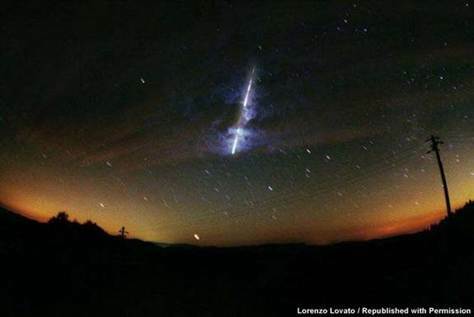 It is most easily seen just after sunrise in the southern sky. The First Quarter Moon rises around 1:15 p.m. and sets around 12:30 a.m. It dominates the evening sky. This is the second Full Moon in July, what is sometimes called a “Blue Moon.” It rises around sunset and sets around sunrise; this is the only night in the month when the moon is in the sky all night long. The rest of the month, the moon spends at least some time in the daytime sky. The moon will be close to Uranus just before sunrise. In the lands surrounding the Indian Ocean, the moon will actually occult Uranus. Venus reaches its greatest brilliancy at magnitude –4.7. The waning crescent moon will pass close to the bright red star Aldebaran low in morning twilight. The moon will occult Aldebaran as seen from eastern Russia, northern Japan, Alaska, northern Canada, Greenland, and Iceland. The moon will be close to Venus just after sunset. Venus will appear in binoculars as a tiny crescent just north of the crescent moon. The moon will occult Venus as seen from New Guinea, northeastern Australia, Melanesia, and French Polynesia. Ceres, the largest asteroid or smallest dwarf planet, will be in opposition to the sun. At magnitude 7.5, it will be located right on the border between Sagittarius and Microscopium, just south of Capricornus. Mercury is well placed in the eastern sky at dawn for the first half of the month for observers in the Southern Hemisphere. Venus shines high in the western sky after sunset, reaching its greatest brilliancy from the sun on July 9. Mars is too close to the sun to be visible. 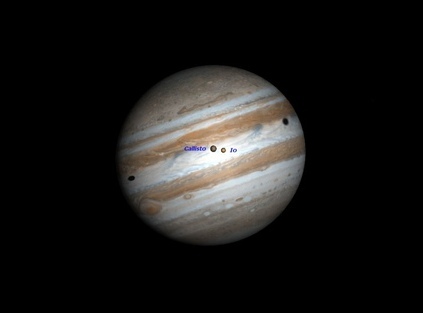 Jupiter is low in the western evening sky all month, close to Venus on the 1st and 31st of the month. Uranus rises near midnight in Pisces. Neptune rises in the late evening in the constellation Aquarius. If you own a DSLR or a point and shootwith an optical zoom, I’m sure that every once in a while you see a beautiful moon and you think about taking a picture of it, especially when the moon is full and beautiful. There are other times when you spot a news announcement about a Lunar Eclipse and you think about capturing the moment, but do not know how to do it right. Or you want to capture the moon together with a foreground object such as a house or a lone tree, but the picture is not coming out right because the moon is much smaller and looks like a white blob. If you had any of these situations or simply want to find out how to take a picture of the moon with a digital camera, then this guide is for you. ISO: Set your ISO to 100 if you have a Canon DSLRand to 200 if you have a Nikon DSLR (basically, whatever base ISO you have in your camera). For most other brands, the base ISO is also 100. If you have a point and shoot camera, see if you can find a menu setting to set your ISO to 100. Make sure “Auto ISO” is turned Off. Shutter Speed: Set your shutter speed to 1/125 on cameras with base ISO 100, and to 1/250 on Nikon DSLRswith base ISO 200. Lens Focus: Set your lens to manual focus(either through a switch on the lens or on the camera) and set your focus to infinity. Be careful while setting the focus to infinity, as some lenses allow focusing beyond infinity. On more advanced DSLRs such as Nikon D300, there is a handy feature called “live-view with contrast detect”, which can accurately acquire focus on distant objects. I have used it many times for my moon photography and it works great! If you do not have such a feature in your camera, then try setting your lens to the center of the infinity sign, then take a picture and see if it came out sharp by zooming in the rear LCD of the camera. 6) Why photograph the moon? June 2 – Full Moon. The Moon will be located on the opposite side of the Earth as the Sun and its face will be will be fully illuminated. This phase occurs at 16:19 UTC. 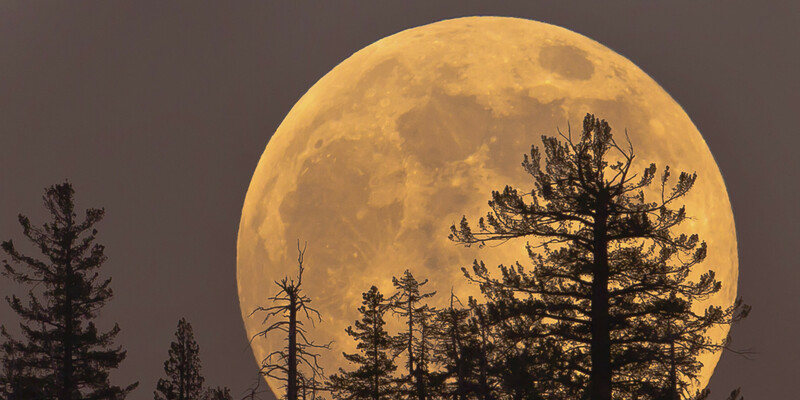 This full moon was known by early Native American tribes as the Full Strawberry Moon because it signaled the time of year to gather ripening fruit. It also coincides with the peak of the strawberry harvesting season. This moon has also been known as the Full Rose Moon and the Full Honey Moon. June 6 – Venus at Greatest Eastern Elongation. The planet Venus reaches greatest eastern elongation of 45.4 degrees from the Sun. This is the best time to view Venus since it will be at its highest point above the horizon in the evening sky. Look for the bright planet in the western sky after sunset. June 16 – New Moon. The Moon will located on the same side of the Earth as the Sun and will not be visible in the night sky. This phase occurs at 14:05 UTC. This is the best time of the month to observe faint objects such as galaxies and star clusters because there is no moonlight to interfere. June 21 – June Solstice. The June solstice occurs at 16:38 UTC. The North Pole of the earth will be tilted toward the Sun, which will have reached its northernmost position in the sky and will be directly over the Tropic of Cancer at 23.44 degrees north latitude. This is the first day of summer (summer solstice) in the Northern Hemisphere and the first day of winter (winter solstice) in the Southern Hemisphere. June 24 – Mercury at Greatest Western Elongation. The planet Mercury reaches greatest western elongation of 22.5 degrees from the Sun. This is the best time to view Mercury since it will be at its highest point above the horizon in the morning sky. Look for the planet low in the eastern sky just before sunrise. How many among us can look up at the night sky and point out prominent stars, planets, and other heavenly wonders, purely from memory? Certainly there are some of us who are blessed with the ability to discern patterns and locations in what appears to the rest of as a completely random and endless sky full of white dots. Sky Maps – There are several sites that offer free downloads of printable sky maps – our favorite is http://www.skymaps.com/downloads.html We like to use these in remote areas where other cellular or GPS based maps may not be accessible. Printed sky maps are easy to use – simply hold them overhead, orient it to north, and you can easily start to match up stars with your map. Next thing you know, you’re finding constellations and planets and nebulae, and the sky patterns will begin to reveal themselves to you. Smartphone Apps – These take printed sky maps to a whole new and interactive level. Working on the same principle of holding your phone overhead to align your screen with the stars, these apps can detect your location, zoom in or out, and show outlines of constellations. The apps we prefer are: Google Sky Map, Sky Safari, and Sky Map. All are available through the App or Play Stores, and are free in their basic versions. All of them will place more celestial knowledge at your fingertips than Copernicus had on his best day.